For all of the times we refer to “SATCOM” in our industry, the term really does not sufficiently describe what we do. SATCOM, of course, is shorthand for “satellite communications.” However, we are about far more than satellites. It is about end-to-end managed systems — from redundant satellites to robust ground infrastructure, as well as terminals. We are about the implementation of ever-advancing and diverse technological capabilities, along with optimal mobility, redundancy, scalability, global portability and security – the ultimate ‘resilience approach’. Most of all, we are all about the mission, serving as a dedicated government partner to support servicemen and women wherever they are serving their nation. As federal leaders move forward with potentially game-changing shifts in satellite procurement policies, there has never been a better time to deliver this message. Our industry has so much to offer. It can perform more efficiently, effectively and affordably than “government only” acquisition models allow. The architecture that government puts in place today may transform its SATCOM-as-a-Service for years — or even decades — to come. Therefore, we in the industry must continue to collaborate with these leaders in order that the best of commercial innovation is incorporated and fully integrated into present and future unified satellite systems architectures. As for the latter, the budget submission for fiscal year 2019 included $8 billion of additional funding for space over the next five years; fully embracing the new strategy, which recognizes that space is now a warfighting domain. Then, there was the release of some conclusions from the U.S. Air Force’s Analysis of Alternatives (AoA) for a follow-on to the Wideband Global (WGS) system. Through the AoA, unprecedented participation from industry and U.S. allies offer seemingly limitless possibilities for new space, air and ground-layer communications. This effort underscores the urgency for a strong, forward-looking partnership between the government and the satellite industry to ensure available solutions are fully considered as part of any recapitalization process. Future integrated architecture depends on the reach, resilience and technology modernization of COMSATCOM as an essential element of mission assurance. As stated before, SATCOM should reflect the entirety of what we offer, and not merely satellites. On the terminal side, the industry is making major investments in modular terminals to replace closed, vertically integrated systems, which is driving toward an integrated architecture. In some cases, we modify existing terminals. In others, we build new ones. In our efforts, we are not thinking in terms of decades — and we will “go fast,” as U.S. Air Force General John Hyten, Commander, U.S. Strategic Command (USSTRATCOM), has urged. Engineered for global mobility, SATCOM-as-a-Service provides a critical, end-to-end, communication infrastructure, owned and managed solely by a trusted commercial operator. It is designed with the government in mind. SATCOM-as-a-Service enables users to instantly “plug into” communications, which support high bandwidth voice, data and video connectivity and transmissions, much in the same way as they use their smartphones; a seamlessly delivered, global experience that “follows” them wherever they go. 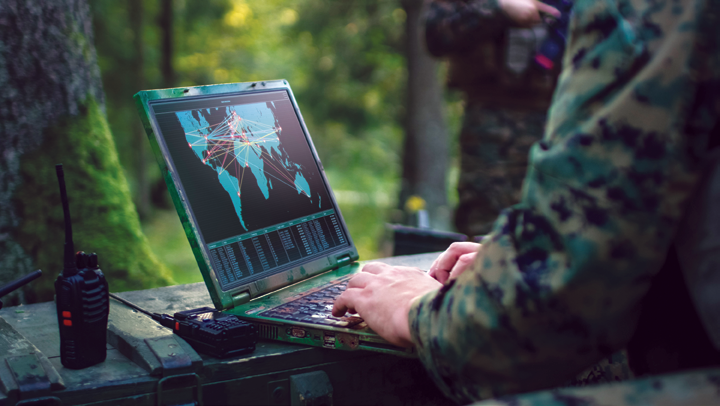 In addition, the SATCOM-as-a-Service model brings an end to the days of speculative SATCOM acquisition, when military operators had to “guess” as to where and how much bandwidth they would use. With SATCOM-as-a-Service’s always-on capability, monthly pricing is fixed, eliminating a budget uncertainty for our customers. The budget-impacting dynamics cannot be understated, especially now. 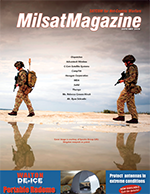 In federal circles, there are frequent “free versus fee” conversations about MILSATCOM and COMSATCOM, respectively, with impressions conveyed that MILSATCOM arrives at no cost and, therefore, should be considered as the primary, if not sole option. This is simply not true, and the debate is archaic. We should be talking about “commercial first” strategies, in which new and enhanced capabilities are made available immediately and affordably. 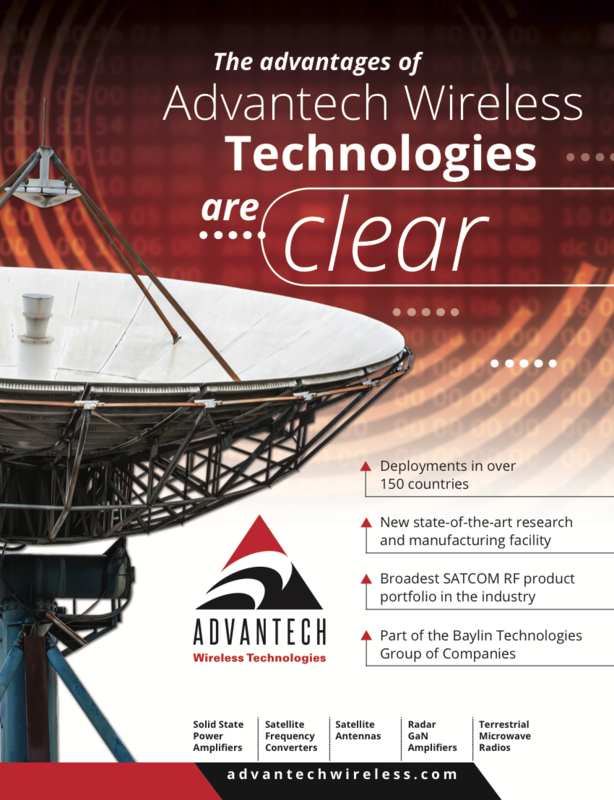 Since 2009, when the Pentagon canceled the U.S. Air Force’s Transformational Satellite Communications System (TSAT) program, our industry has invested heavily into improving SATCOM mobility, flexibility, redundancy, throughput, resilience and protection. We are always innovating and inserting technology upgrades; valuable R&D which arrives without upfront cost to agency customers. Clearly, SATCOM encompasses an entire universe of robust innovation, beyond merely the satellites themselves. At what could be a turning point for systems procurement, the government needs to take advantage now by committing to a fully integrated commercial presence taking greater advantage of the best commercial has to offer. Rebecca Cowen-Hirsch is Senior Vice President for Government Strategy and Policy at Inmarsat Government Inc., a wholly-owned subsidiary of Inmarsat plc, the world’s leading provider of global mobile satellite communications to the United States government. Ms. Cowen-Hirsch is responsible for establishing Inmarsat’s strategic direction, policy and advocacy with respect to U.S. government. Ms. Cowen-Hirsch has more than 25 years of defense, aerospace and executive leadership experience. She served in the U.S. Department of Defense (DoD) as the Program Executive Officer for SATCOM, Teleport, and Services at DISA and the first Vice Component Acquisition Executive for DISA. She established the Defense Spectrum Office, serving as its first Director. She is a rated experimental flight test engineer and became the first female civilian Mission Commander for the Advanced Range Instrumentation Aircraft (ARIA) mission. She was awarded the Exemplary Service Medal for her service to the DoD. Ms. Cowen-Hirsch received her Bachelor of Science degree in Electrical Engineering from the University of Kentucky. Ms. Cowen-Hirsch is a Senior Columnist with MilsatMagazine.